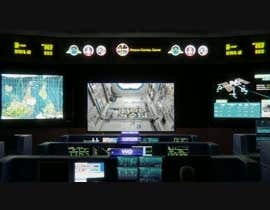 The goal of this challenge is to create a 3-minute animation, based on a provided storyboard, that describes NASA’s REALM project to the general public. A background summary is provided below, although a careful reading of the attached detailed description is recommended. REALM (RFID-Enabled Autonomous Logistics Management) is a 3-phased experimental project based on RFID (radio frequency identification) technologies. The primary objective is to learn how to automate logistics management for future space exploration missions. While early stages of the REALM experiments are focused on solutions to automate activities such as inventories and item searches, future experiments that allow robotic interaction with logistics, such as unpacking or setup in advance of human arrival, are anticipated. It is considered critical for beyond–Low Earth Orbit missions, in which ground support for finding items is impractical and re-launch of missing items is not an option. It also improves packing efficiencies for reduced stowage volume. The REALM team is using the International Space Station as a test bed to evaluate and mature the relevant technologies. •	The storyboard is attached as a PDF. •	A separate PDF contains recommended edits to the storyboard. •	Also attached is a PDF that provides a description of the REALM system in more detail along with images of the system. •	The animation should be based on the attached storyboard, although editing to achieve the desired 2-3.5 minute length is expected. •	Rewording of the storyboard is acceptable to improve clarity or to better convey key points. •	Departure of storyboard shots is acceptable to improve clarity or to better convey key points. •	Graphics are provided with the intent of providing a complete overview. While the graphics may be used in submissions, inclusion is not required. - Container: MP4 with no edit lists. - Audio Codec: AAC-LC in stereo or stereo + 5.1 with a sample rate of 96khz or 48khz. - Frame Rate: The same rate the video was captured at. - Bitrate: no fixed bitrates required. - Resolution and aspect ratio: 16:9 aspect ratio at your preferred HD resolution. •	The video is intended to convey the concept of the REALM project and why it is important to NASA. •	Quality: Does the submission look professional? Is the audio clear? •	Requirements: Does the submission meet the stated requirements? •	Clarity: Does the submission describe the 3 phases of REALM in terms understandable by the general public? We will not be ending the contest early. Thanks! and well, it might be not that fair for those, who already made a decent job, but I guess there are others here too, who also need more time to finish their work and would really appreciate it, as me too, if you could run this competition a bit longer! Hello i am working on a video in this style. Do you appreciate ? It looks like very nice work for that application, but not quite what we had in mind. Thanks for your interest. Sir, I'm looking forward to your evaluation. Thank you. What is the final delivery date of the project? The delivery date is the challenge close date. Final files etc from the chosen winner will be due in the normal Freelancer timeframe. Can the style of animation be like (Kurzgesagt – In a Nutshell)? still not allowing part entries? You are asking a lot of time to be invested to create a full 2min video for a contest and the kind of standard you want. Why not get people to do a test segment then award the prize and let the winner finish it. this is more standard practice, this would mean you would get more professional animators working on it. Thanks for your feedback. Perhaps on future contests, this may be an option. Yes, we do ask for the full video for this contest. Thanks! hello there. please change the upload entres properties (allow .jpg and multiple uploads) so i can upload different frames of the current animation im working. I had Freelancer review the file types required for the contest. They informed us they are based on the contest skills. Thus, we will need to forward your concern to our Contest team for them to check if they can change the upload properties to allow .jpg files. Thank you. Freelancer looked at the upload properties for us. They are indeed based on the contest. We were advised that to accept the current uploads without changing the file type as it would cause issues. Also, the upload will work for users to submit needed information required to fulfil the deliverable. Just wanted to ask... is there any Astrobee 3d model available, or do we have to build one from scratch? Those models are probably not publicly available yet, but we'll check. Please what name of spacecraft travelling? We don't believe that spacecraft exists at the link provided. Please see post by Lauren F below regarding the objects in the storyboard. I wonder if the system could be able track and remembers last position...so even if it can be reach it in real time always, you could have and idea where it was. Yes it can. Archived data can be analyzed for patterns in order to derive location estimates. Current archives date back to system activation in February 2017. NOTE: The contest description has been updated from 2 - 2.5 min video to 2 - 3.5 min video including credits. This was done to allow a longer video/animation and to clarify that video credits are part of the overall length. It is permissible to display credits at the end of the animation. The credit time will count toward the overall length of the animation. Hey, The contest will be open till the end right? Thanks. Yes, the remaining time is posted in the header for this contest. Hi as 2-5 min is a lot of animation for a competition will you allow partial entries that would be completed if awarded? Sorry, we are not able to accept partial entries. Entry #5 is the kind of quality and animation I will be able to provide. If you are okay with that please reply if you would like me to proceed with the animation according to the storyboard.